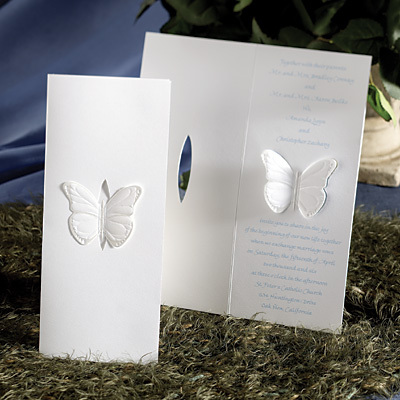 Wedding invitations are happy announcements and reflect the general tone of the wedding. It is a preview of the special day. 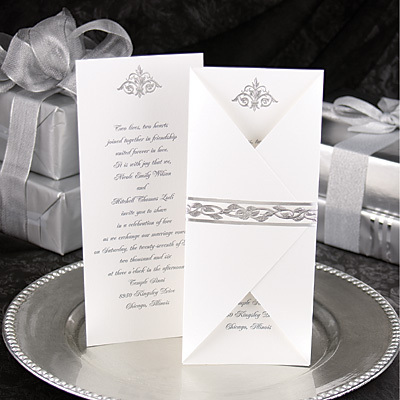 Engaged couples always want a unique way to express their special welcome to their wedding and want to do things correctly - from the wordings to the proper distribution of the wedding invitations. Rightly so, if they want their wedding to be perfect and memorable. Not all those invited to wedding can be available on the appointed date, even if the invitations have been sent 6 weeks before the wedding date. People have their busy schedules and fitting in an unexpected appointment may not be possible. To make sure that your invited guests will show up, send them save-the-date cards five or six months before the wedding, but be sure to indicate in the card that the wedding invitation will follow. These cards are ideal for family and friends who live out of town or have hectic business schedules. You can adopt an informal or formal tone for these cards, but it's better to use the card as an initial setting for your wedding. From the tone, the guest can have an idea what to expect - a formal or informal wedding. You can use scratch-off cards, magnets, or inserts for your cards. You can send these cards off as postcards and save on postage. Sending the wedding invitations is the next step. Ideally, these should be sent 6 weeks before the wedding and as a follow up on the save-the-date cards. Make sure that the invitations bear the correct date and venue for the ceremony and reception. It is in bad taste to write any special note on your invitation. If you have a special message, you can call or email the intended recipient. Proper wordings should be observed if the couples have divorced parents. The names of the bride's parents precede those of the groom's. The mothers of both couples should be addressed as "Ms.", or if she is a doctor or engineer, the title should be spelled out. There are appropriate wordings for different wedding circumstances - to denote who is throwing the reception, if it is a church wedding, or if the bride's or groom's mother is divorced and has remarried or not. Avoid glaring spelling and grammar mistakes. Edit or review the draft before the invitations go into final printing. Names of persons should be correctly spelled and proper titles provided. Check the standard RSVP for the polite request to respond to your invitation so invited guests can reply if they are attending your wedding reception or not. It may be inadvertently omitted. This saves you the embarrassment, especially if you are enclosing response cards. Redoing the invitations can be expensive if you are not careful. Receptions are worded differently if you are inviting the guest to a reception right after the wedding or later in the day. You should take the proper course when addressing the wedding invitation envelopes. There will be two envelopes, the outer and the inner. 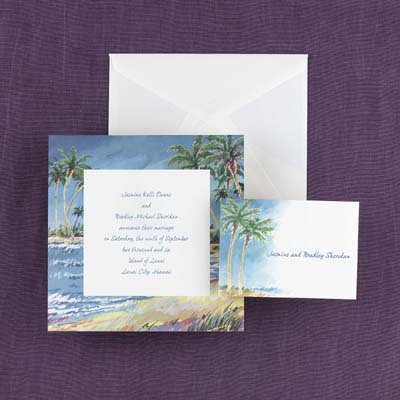 For the outer envelope, give the full title for single guests and couples. Titles should be spelled out. If you have a PhD in the guest list, address him or her as "Dr.", while a medical doctor should be addressed as "Doctor". Guests from the clergy should be addressed as Reverend. The address in the inner envelope is less formal and can be more personal. Due to budgetary constraints or other personal reasons, couples prefer not include children in their wedding reception. To avoid offending anybody, do not be explicit like adding NO CHILDREN ALLOWED. Instead, tactfully add the phrase Adult Reception before the time and venue for the function. Some view wedding invitations as solicitations for gifts. So be careful about sending invitations to those who you already know cannot make it to the wedding because of prior and obligatory engagements. If your grandparents cannot make it because traveling the many miles might strain their health, you can send them your invitation. They will not resent this; instead, they will view this as a welcome remembrance of your very special day. Inviting the priest or officiating officer is considered proper. The persons providing services before and during the wedding should be accommodated during the reception, though it is not necessary to give them formal wedding invitations.